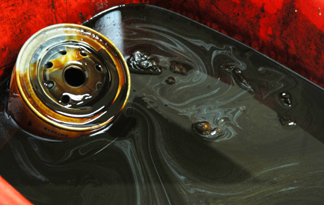 Motor oil is pretty nasty stuff — Just one gallon of used oil can contaminate over a million gallons of drinking water. But oil is also a critical part of keeping your car running. Traditionally, re-refined (recycled) oils weren’t good enough for use at Lowell’s. Valvoline — headquarted here in Lexington — has finally changed that. Related Post: What does Lowell’s do with your old oil? Lowell’s is pleased to introduce a new, high-quality oil change option featuring a recycled oil from Valvoline. NextGen motor oil exceeds all major industry standards while using at least 50% recycled oil. Functionally, it is equivalent to our regular Valvoline oil. But because it uses more recycled oil, NextGen can be made with less energy and pollution (and less international strife, too) than is the case when finding, drilling, extracting, and shipping crude oil from the ends of the earth. While oil will never be truly environmentally friendly, our oil changes with NextGen have less environmental and geopolitical impact than standard oil changes. Lowell’s still offers traditional oil changes alongside our new, greener option. Currently, NextGen is available in 5W-20 and 5W-30 grades — the most common motor oil grades we use for Toyota and Lexus here at the shop. Ironically, this lower-impact product is not (yet) available in the 0W-20 grade used for many newer (2010 or later) hybrid vehicles and Camrys. Just ask us whether NextGen is an option for your vehicle. * Note: Because recycled oil is easier to get and refine than traditional oil, it actually costs less to produce. For the near term, however, NextGen will cost more than a traditional Valvoline oil change because of the lower volumes we use. As more Lowell’s customers choose NextGen, we anticipate that a ‘greener’ oil change could cost the same as a traditional one.